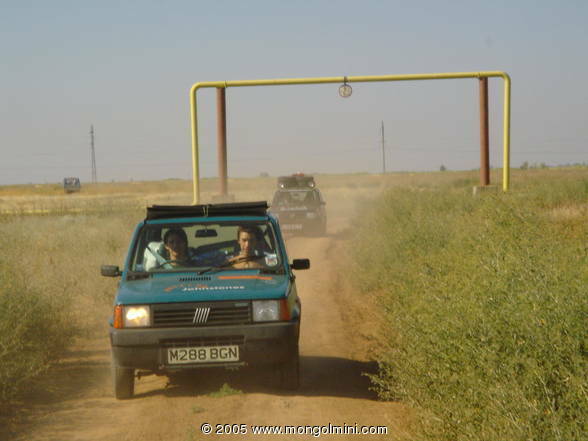 This was just the small track that took us from our camp spot back to the "road" just south of Volgagrad. It did little to prepare us for the roads to come. Volgagrad has to be the most industrial place I've ever seen. It took us about 30 minutes to drive past the huge oil refinery with huge flare's spitting out flames over the starlit sky. Stupid as it may sound at one point we felt like spies sneaking around this Russian refinery at night (although I think the Union Flag on the roof would have given us away).